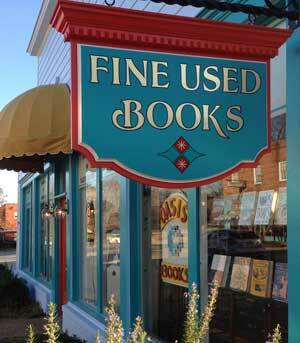 Oasis Fine Used Books on Main Street in Gloucester, Virginia brings a fine selection of antique books from many genres. Kip Mortenson, proprietor, is a second generation book seller with a huge collection of mostly hardcover first editions in Maritime, Gardening, Eastern and Western Americana, Virginiana and New Age antiquarian books. We’re located at 6670 Main Street between Yolanda’s and Ware Neck Produce.